Combining SPORT PSYCHOLOGY & QUANTITATIVE RESEARCH to improve performance. 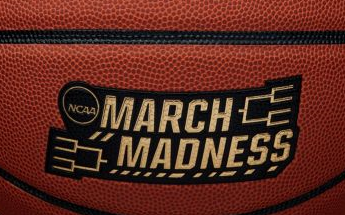 Who Will Win the NCAA Men's Hoops Title? We quantify concepts of sports psychology such as consistency, leadership, confidence, experience, and hard work. These are areas where coaches and sports organizations can make an actionable impact — as they build team chemistry and champions. Neither team has played in the Final Four over the past few years, so there us is big game experience edge. Edge: None. Final Four 2019: Who Gets to the Title Game? Over the past decade, we have published quant fact predictions based on our research “Who Will Win the Big Game: A Psychological & Mathematical Approach.” Our published results have been correct about 65% of the time, often picking underdogs. Our work has been particularly successful for college basketball and the Final Four (and we have been published in the New York Times and Wall St. Journal). It's been a while since we updated the official record for our Quant Fact predictions. With successful picks in the 2019 Super Bowl, as well as the second half of 2018, our record has improved to 54-28 -- for a winning percentage of 65.9%. We study sports analytics and sports psychology and focus on factors such as the fundamentals, execution, and leadership. These are concepts that athletes and sports organizations can "key in" on as they put together a team. Our quant fact predictions sometimes differ from the general consensus -- and our record is a testament to the unique and strong combination of quant analytics and sports psychology. Who Will Win the 2017 World Series? Carlton Chin, CFA, holds both undergraduate and graduate degrees from MIT and enjoys applying numbers to everything from sports analytics to the financial markets. He has been featured and quoted in the NY Times, ESPN, Wall St. Journal, SeekingAlpha & Financial Trader. Dr. Jay Granat, psychotherapist, named one of America's Top 10 Mental Gurus by Golf Digest, has worked with Olympic athletes & sports organizations. A former university professor, he has authored several books on sport psychology -- and has appeared on ESPN, CBS & Good Morning America. Copyright Chin & Granat. Picture Window theme. Theme images by adamkaz. Powered by Blogger.